Boucher Smart Buy! 1 owner Clean Carfax with a perfect vehicle history report. It's as clean inside as it is out and breezed through our rigorous inspection process. It comes with all power features such as Power windows, power locks, Remote keyless entry, air conditioning, and an affordable price! It is value priced to move using live market data and it includes Boucher's Smart Care Maintenance Package at no additional charge! 3 Oil Changes and more...a $1000 value! See dealer for details! *Prices exclude tax, title, license and service fee. New Arrival!! More photos and detailed description coming soon!! Please call or email for more photos or a personalized video!! Recent Arrival! Odometer is 7822 miles below market average! Boucher Smart Buy! Manual Transmission, Local trade! Great Runner! Great Shape for 10 years Old!! Please email or call Gordie Boucher of West Bend with questions, to check availability or to set an appointment (we will have your vehicle pulled up and ready to save you time) or just stop by our beautiful new state of the art dealership 1 minute west of I45 on Washington Street (Hwy 33) and take a test drive. Thoroughly reconditioned, inspected and expertly detailed by our Ford Factory certified technicians! Includes Smart Care Maintenance Package at no additional charge! 3 Oil Changes, a free gift and an extensive array of coupons valued at $1000! Boucher has an A+ Better Business Bureau Rating. Prices exclude tax,title,svc fee and license. Contact our West Bend Sales Team to verify availability of this vehicle since they sell quickly! Let us show you why Boucher is now ranked among the Top 100 Volume Dealer Groups in the nation per Automotive News, and has been "Riding With You Every Mile" for over 40 years as your leading West Bend Fond du Lac Oshkosh Appleton Milwaukee, Brookfield, Slinger, Hartford, Germantown, Jackson, Sussex, Grafton dealer. Local Trade with a Fantastic Service History!! New front and rear brakes!! Leather Seats, 8-Way Power Driver Seat Adjuster, 8-Way Power Front Passenger Seat Adjuster, Auto-leveling suspension, Driver Confidence Package, Fully automatic headlights, Heated Leather Steering Wheel, Heated Washer Fluid, Luxury Package, Memory Settings, Remote Vehicle Starter System, Theft-Deterrent System w/Content Theft Alarm, Traction control, Ultrasonic Rear Parking Assist, XM Satellite Radio. Please email or call Boucher Ford of Menomonee Falls with questions or to set an appointment (we will have your vehicle pulled up and ready to save you time) or just stop by Boucher Ford Menomonee Falls beautiful new state of the art dealership 1 minute east of I41 on Main Street and take a test drive. Thoroughly reconditioned, inspected and expertly detailed by our Ford Factory certified technicians! Includes Smart Care Maintenance Package at no additional charge! 3 Oil Changes, and an extensive array of coupons valued at $1000! Boucher has an A+ Better Business Bureau Rating. Prices exclude tax,title,svc fee and license. Contact our Menomonee Falls Sales Team to verify availability of this vehicle since they sell quickly! Let us show you why Boucher is now ranked among the Top 100 Volume Dealer Groups in the nation per Automotive News, and has been "Riding With You Every Mile" for over 40 years as your leading Ford Milwaukee, Waukesha, Brookfield, Germantown, Jackson, Slinger, Hartford, Sussex, Wauwatosa, automotive dealer! 2007 Hyundai Azera, Clean Carfax, Leather Seat, MoonRoof, Runs and Drives Great, Call Today Please email or call Boucher Hyundai of Janesville with questions, to check availabilty or to set an appointment (we will have your vehicle pulled up and ready to save you time) or just stop by our showroom and take a test drive. We are located on the North side of Janesville on Milton (Hwy 26) just a couple minutes off I90. Thoroughly reconditioned, inspected and expertly detailed by our certified technicians! Includes Smart Care Maintenance Package at no additional charge! 3 Oil Changes, and an extensive array of coupons along with a gift valued at $1000! Boucher has an A+ Better Business Bureau Rating. Prices exclude tax,title,svc fee and license. Contact our Sales Team to verify availability of this vehicle since Smart Buys sell quickly! Let us show you why Boucher is now ranked among the Top 100 Volume Dealer Groups in the nation per Automotive News, and has been"Riding With You Every Mile" for over 40 years as your leading Janesville, Madison, Rockford, Beloit, Monroe, Whitewater, Jefferson, Fort Atkinson Dealer! Only 2 Owners - Perfect Carfax Report w/No Accidents and Great Dealership Service History - Navigation - Moonroof - Steering Wheel Controls - Heated Seats - Alloy Wheels - Keyless Entry - Please email or call with questions or to set up an appointment (we will have your vehicle pulled up and ready to save you time) OR just stop by Gordie Boucher Lincoln's beautiful new state of the art dealership on Hwy 100 and Oklahoma Avenue. We are located 20 minutes at the most from anywhere in the greater Milwaukee and suburbs area **IMPORTANT PLEASE READ: This is an Auction Bound Vehicle being sold AS-IS. Normally Auction Bound Vehicles are not sold to the public. They are usually sold to other retailers or wholesale dealers across the nation. Based on the state of the economy, there is an increasing demand for quality, low cost, vehicles. So before we send these cars to auction, we want to give our customers the opportunity to purchase these vehicles "As-Is". This vehicle has been completely inspected mechanically and for safety. We will share with you all of the details regarding what it may need and the price of repair upon arrival to our dealership. We will also show you any items we identified as cosmetic or that do not affect the overall drive ability of the vehicle. With over 25 strong lending institutions in our Boucher Financial Network, we can get you the most competitive terms! Our low internet price excludes tax,title,license,svc fee. Contact our Boucher Imports Sales Team to verify availability of this vehicle. Let us show you why Boucher has earned an A+ Rating from the Better Business Bureau and has been "Riding With You Every Mile" for 37 years! Awards: * 2005 KBB.com Best Resale Value Awards For more information, visit www.kbb.com. Kelley Blue Book is a registered trademark of Kelley Blue Book Co., Inc.
BOUCHER SMART BUY! Clean Carfax! Comes well equipped with Leather Seats, Sunroof, California Walnut Wood Interior, 4.0-liter V-8 engine with 290 horsepower, 16" Alloy Wheels, Brake Assist and more! * Prices exclude Tax, Title, License and Service Fee! Contact our Frank Boucher Imports Sales Team in Racine to confirm availablitly. * Fresh Arrival! Photos & descriptions coming soon but if you want the first shot at this, please call us and ask for a pre-owned salesperson. We would be happy to answer any questions or send you photos, a video or whatever you need. Fresh Arrival! Photos & descriptions coming soon but if you want the first shot at this, please call 262-542-5500 and ask for a pre-owned salesperson. We would be happy to answer any questions or send you photos, a video or whatever you need. Tenemos cinco vendedores pueden ayudarte en español! Local trade, Altima 2.5 S, 2.5L 4-Cylinder SMPI DOHC, CVT with Xtronic, Radiant Silver Metallic. * This Radiant Silver Metallic 2010 Nissan Altima 2.5 S has been thoroughly inspected by our Boucher Nissan of Waukesha ASC Factory Certified Technicians! It is value priced to move using live market data and it includes Boucher's Smart Care Maintenance Package at no additional charge! 3 Oil Changes and more...a $1000 value! See dealer for details! *Prices exclude tax, title, license and service fee. CLEAN CARFAX! - CRUISE CONTROL! - KEYLESS ENTRY! - NEW TIRES! * This Red 2001 Mercury Grand Marquis GS has been thoroughly inspected by our Boucher Ford Lincoln Mazda of Janesville ASC Factory Certified Technicians! *Prices exclude tax, title, license and service fee. Boucher Smart Buy! Local trade-Well maintained and well cared for-Non Smoker-Incredible value! Power Moonroof w/Shade, Premium Cloth Buckets w/60/40 Split Rear Seat, Power driver seat, SIRIUS Satellite Radio, Steering wheel mounted audio controls, 16" x 7" 5-Spoke Cast Aluminum Wheels, AM/FM Single CD/MP3 Capable, Ford SYNC, Leather steering wheel and much more!! * 2009 KBB.com Brand Image Awards * This Sport Blue Clearcoat Metallic 2009 Ford Escape XLT has been thoroughly inspected by our Boucher Ford of Menomonee Falls ASC Factory Certified Technicians! It is priced to move and it includes Boucher's Smart Care Maintenance Package at no additional charge! 3 Oil Changes and more...a $1000 value! See dealer for details! *Prices exclude tax, title, license and service fee. Boucher Smart Buy! LOCAL TRADE-4 NEW TIRES & BATTERY-ALL WHEEL DRIVE!! LEATHER-MOONROOF-SECURITY SYSTEM-ALLOY WHEELS-OUTSIDE TEMPERATURE DISPLAY-POWER SEAT & MUCH MORE!! Please email or call Boucher Ford of Menomonee Falls with questions or to set an appointment (we will have your vehicle pulled up and ready to save you time) or just stop by Boucher Ford Menomonee Falls beautiful new state of the art dealership 1 minute east of I41 on Main Street and take a test drive. Thoroughly reconditioned, inspected and expertly detailed by our Ford Factory certified technicians! Includes Smart Care Maintenance Package at no additional charge! 3 Oil Changes, and an extensive array of coupons valued at $1000! Boucher has an A+ Better Business Bureau Rating. Prices exclude tax,title,svc fee and license. Contact our Menomonee Falls Sales Team to verify availability of this vehicle since they sell quickly! Let us show you why Boucher is now ranked among the Top 100 Volume Dealer Groups in the nation per Automotive News, and has been "Riding With You Every Mile" for over 40 years as your leading Ford Milwaukee, Waukesha, Brookfield, Germantown, Jackson, Slinger, Hartford, Sussex, Wauwatosa, automotive dealer! Fresh Arrival! Photos & descriptions coming soon but if you want the first shot at this, please call 262-542-5500 and ask for a pre-owned salesperson. We would be happy to answer any questions or send you photos, a video or whatever you need. Tenemos cinco vendedores pueden ayudarte en español! Local trade, Versa 1.8 S, 1.8L 4-Cylinder DOHC 16V, Air Conditioning, Embossed Suede Cloth Seat Trim, Radio: 90-Watt AM/FM In-Dash 6-CD Changer. * This Fresh Powder 2011 Nissan Versa 1.8 S has been thoroughly inspected by our Boucher Nissan of Waukesha ASC Factory Certified Technicians! It is value priced to move using live market data and it includes Boucher's Smart Care Maintenance Package at no additional charge! 3 Oil Changes and more...a $1000 value! See dealer for details! *Prices exclude tax, title, license and service fee. 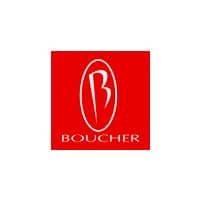 Boucher Smart Buy!! * This Ebony Black 2010 Kia Forte Koup EX has been thoroughly inspected by our Boucher Nissan of Greenfield ASC Factory Certified Technicians! It is value priced to move using live market data and it includes Boucher’s Smart Care Maintenance Package at no additional charge! 3 Oil Changes and more...a $1000 value! See dealer for details! *Prices exclude tax, title, license and service fee. LOCALLY OWNED AND WELL MAINTAINED TRADE!! ONE OWNER, CLEAN CARFAX HISTORY REPORT WITH PERFECT NISSAN MAINTENANCE RECORDS! CLEAN AND WELL MAINTAINED WITH LOW MILES, WHAT MORE COULD YOU ASK FOR! TONS OF GREAT EQUIPMENT INCLUDING LEATHER SEATS, POWER DRIVER SEAT, POWER SLIDING DOOR, POWER LIFTGATE, BACK UP WARNING SENSORS, STOW AWAY SEATING, 16'' ALLOY WHEELS, THIRD ROW SEATING, AND SO MUCH MORE! CALL OR EMAIL TODAY TO SET UP YOUR APPOINTMENT! DO NOT HESITATE, THIS RARE, LOW MILES AND WELL CARED FOR VAN WILL GO QUICKLY AT THIS PRICE POINT! Certified by Carfax - One Owner and no accidents! !, Local well maintained trade!! No Auction or Rental vehicle here! !, Parking Sensors, Third Row Seating, 16" x 6.5" Painted Finish Aluminum Alloy Wheels, 2nd Row Fold-Away Captain's Chairs, 3rd Row Fold-Away Bench Seat, Driver's Power Package, Power 8-Way Driver's Seat, Power Driver-Side Sliding Rear Door, Power Liftgate, Rear Sonar System, Remote keyless entry, Seat Package. Please email or call with questions or to set up an appointment (we will have your vehicle pulled up and ready to save you time) OR just stop by Boucher Volkswagen of Franklin's beautiful state of the art dealership on 108th Street (Hwy 100) in Franklin for a test drive. Boucher is now ranked among the Top 100 Volume Dealer Groups in the nation per Automotive News. Boucher VW is the #1 volume Volkswagen dealer in Wisconsin *per VW zone records. We specialize in assisting out of of state customers from across the midwest and are just 30 minutes from the IL border! The Boucher Group has been "Riding With You Every Mile" as your top Milwaukee, Franklin, West Allis, Greenfield, Greendale, Muskego, Mukwanago, Big Bend, Waterford, Waukesha, Wauwatosa, Brookfield dealer for over 40 years! *Prices exclude tax, title, license and service fee.